Exclusive interview with Mitt & Ann Romney... sharing their personal journey. 'Saving America?' 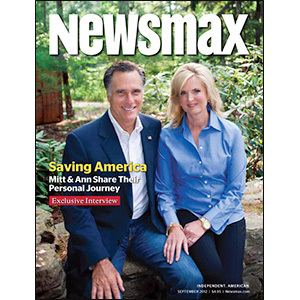 Newsmax Magazine September 2012 Mitt & Ann share their personal journey.